Hey kids: Asus' Chromebook C202 can take your worst neglect. And if it can't, your school can fix it anyway. Asus is no stranger to Chromebooks, but with Google-powered laptops eating the iPad’s lunch in schools, the company’s officially pushing into the classroom. The Asus Chromebook C202 announced at CES 2016 today was built to withstand the bumps, bruises, and spills that clumsy kids inflict upon portable PCs—and, perhaps more importantly, to keep IT admins happy when inevitable accidents do occur. First, the preventative measures. The Asus Chromebook C202 packs a wraparound rubber bumper, spill-proof keys, a scratch-resistant exterior, and a solid-state drive that won’t bite the bullet when it’s dropped, unlike traditional hard drives loaded with platters spinning at high speed. 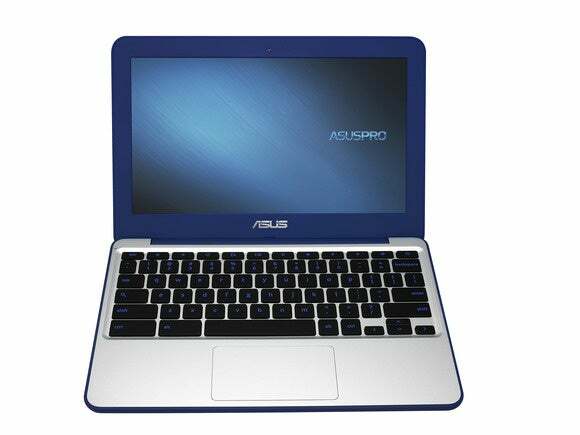 Asus even says it subjects the Chromebook C202 to military-grade drop tests. A 10-hour battery life and anti-glare display should help ‘lil scholars power through the day even if the day involves wandering outside beneath the hot sun, far away from any power outlets. Just look at all those easily removeable screws on the bottom of the Asus Chromebook C202. Admins, try not to drool in front of the kids, please. But if something does go wrong, you might just be able to fix it. The Chromebook C202 sports a modular design so you can swap out the laptop’s keyboard, battery, power socket, and more, and Asus says you can field-strip the Chromebook fairly quickly with basic tools. 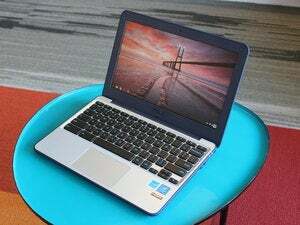 Under the hood, the Asus Chromebook C202 rocks an Intel Celeron N3060 processor, either 2GB or 4GB of RAM, 16GB of storage, an integrated HD webcam, and a 11-inch, 1366-by-768 display. Connection-wise, there’s HDMI out, an SD card reader, a headphone jack, and a pair of USB 3.0 ports. 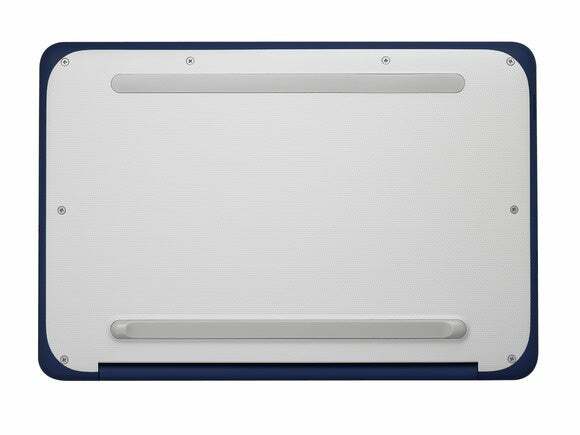 So, you know, it’s a Chromebook, along with all the benefits Chromebooks enjoy over iPads. Pricing isn’t final, but Asus expects the 4GB model to cost between $220 and $230. While rugged classroom-focused Chromebooks have been done before—by Dell, Lenovo, and Acer—none of those stake such a solid claim on repairability as well, which could give the Asus Chromebook C202 a crucial edge when so many of these web-focused laptops are being funneled towards educational uses.